The beauty and life of your carpet depend on the care it receives. Proper cleaning will keep it looking great for its full lifetime, help improve your indoor air quality, and keep your carpet warranties intact. Cleaning your carpet properly is easier than you think. 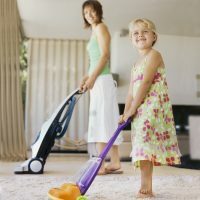 All it takes is a little knowledge about how to select the right carpet cleaning products and the right way to clean your carpet. The CRI Seal of Approval Program helps you easily identify effective carpet cleaning solutions, equipment, and service providers that clean carpet right the first time, without the fear of faster resoiling, stains reappearing, or damage to your carpet or the environment. CRI wants vacuums, extractors, cleaning systems, cleaning products, and service providers to be as effective as possible. The Seal of Approval program is the only one in the industry that scientifically measures cleaning efficacy. The results help consumers make informed decisions and manufacturers improve their products. So carpets are cleaner, healthier, and last longer. Find out more about the Seal of Approval Program. Washing rugs — If your rug is small and the label says “machine washable,” shake the rug outside first and then put it in the washing machine at the recommended temperature. Use warm water (90 to 105 degrees) and a mild detergent. Tumble your rug dry on the lowest heat setting. Beating larger rugs — If your larger rug is easy to pick up, shake it outside first; then put it over a clothesline and beat it. Next, take the rug inside and vacuum it. Many carpet cleaning professionals have rug cleaning expertise as well, but, if the label says dry clean only, your best bet may be to roll it up and take it to a dry cleaner. Save time by calling first to see if the cleaner does rug cleaning — many do not. Vacuuming area rugs — Area rugs with fringe require special technique. 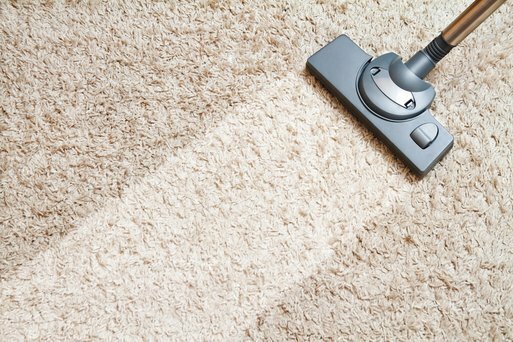 Use gentle suction and start from the center of the carpet, vacuuming toward the fringe, and being careful not to catch the strands in the beater bar. Lift the carpet edge to vacuum beneath the fringe. Caring for Oriental, Turkish, or Persian rugs — Clean imported rugs according to your carpet manufacturer’s specifications or bring in a professional cleaning service. Be gentle with fringe. For heirloom-type rugs, you need to hire a professional. As a rule of thumb, you should vacuum at least once a week with a Seal of Approval-certified vacuum cleaner. However, the more foot traffic over your carpet, the more you need to vacuum. 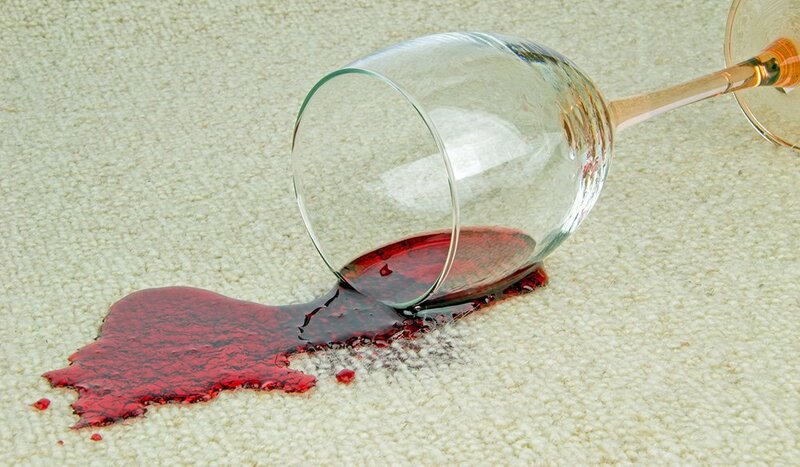 With today’s stain-resistant carpet, treating spots and stains has never been easier. While no carpet is completely stain proof, the key is to act quickly with the right solution to knock out spots with a one-two punch. Blot liquids with a dry, white absorbent cloth or plain white paper towels (no prints or colors). Using a printed or colored material may transfer ink or dye to your damp carpet. Continue until the area is barely damp. Semisolids, like food spills, may need to be scooped up with a spoon. Solid, dried bits can be vacuumed. Do not scrub or use a brush! Bristles and scrubbing can damage the carpet. Fraying and texture change are the likely results. Use a CRI Certified Seal of Approval carpet cleaning product. Though these have been laboratory tested, you should still pretest any cleaner on a scrap of carpet or an unseen area of your carpet. Follow the product’s directions carefully. (Note: more is not better.) Apply a small amount of the cleaner to a white cloth and work in gently, from the edges to the center. Blot; don’t scrub. You may need to do this several times to remove the spot. After the spot is gone, blot the area with clear water once or more to remove any remaining product. Use Seal of Approval cleaning products that are specifically designed for pet stains and odors. Don’t use a steam cleaner when dealing with urine spots because the heat will set the stain and the smell. Extracting the spill with a wet-vacuum and rinsing with cool water will reduce the odor. 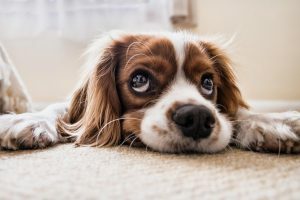 If necessary, contact a certified carpet cleaning firm that knows how to remove pet stains and odors permanently. These days, you can buy or rent a do-it-yourself extractor. While these machines are effective at cleaning spots and spills, and provide excellent interim cleaning, they do not take the place of periodic deep cleaning by a carpet cleaning professional. Follow the instructions on the machine carefully. Do not add other chemicals or attempt to make your cleaner stronger. Ventilate the area. Open windows if outdoor weather conditions permit, or put the air conditioning on a moderate setting (72 to 78 degrees Fahrenheit). Never close up a room with a wet carpet. You want the fastest drying-time possible to prevent mold growth and to allow earlier use.